EE8915 measures reliably CO2 concentration in harsh environment and complies with the relevant railway standards. Active pressure and temperature compensation with on-board sensors leads to best CO2 measurement accuracy independent of temperature, altitude or weather conditions. 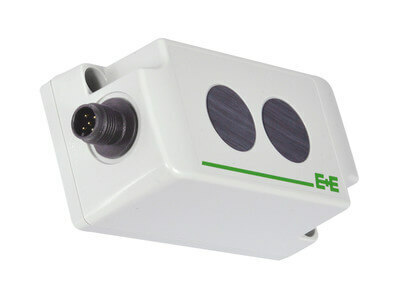 The EE8915 incorporates the E+E dual wavelength NDIR CO2 sensor, which compensates for ageing effects, is highly insensitive to pollution and offers outstanding long-term stability. A multi-point CO2 and temperature adjustment procedure leads to excellent measurement accuracy over the entire temperature working range. The innovative design enables the combination of short response time and high protection class. The CO2 measured data is available simultaneously as voltage and current output signal. The free EE-PCS Product Configuration Software facilitates the configuration and adjustment of the EE8915. Due to the compliance with the tough railway standards, the EE8915 stands for excellent performance in any challenging process and climate control application.